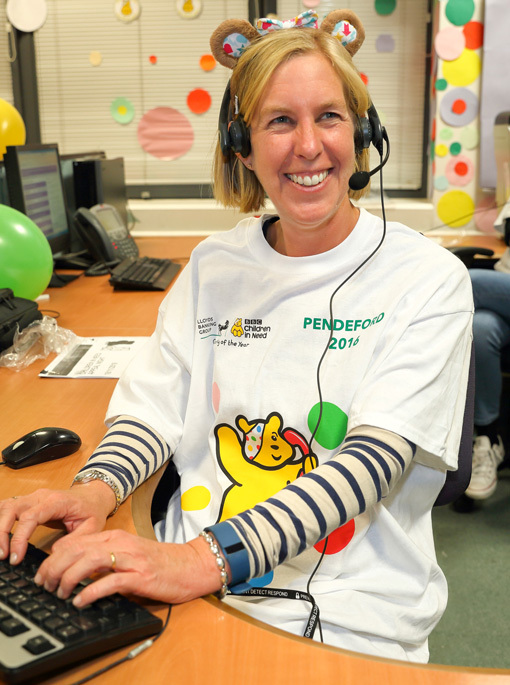 Contact centres across the country answered calls from Children in Need. 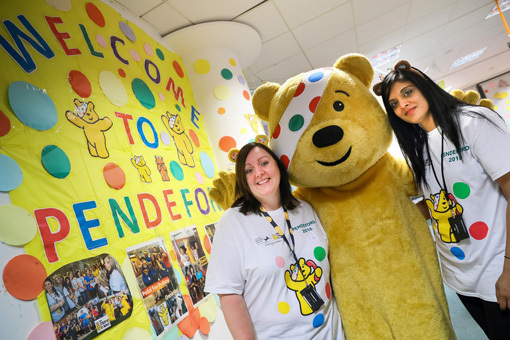 Taking thousands of pounds of donations to help make a difference to children and young people. Check out the stories and photos below. 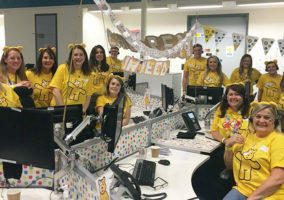 As first ever Principal Partner to BBC Children in Need, Lloyds Banking Group is proud to have yet again contributed a record-breaking amount to the charity appeal. 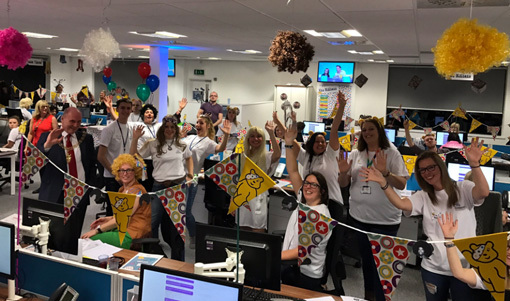 With over £5.5 million being raised by colleagues and customers so far in 2016, almost one million pounds more than at this point last year, Lloyds Banking Group is proud to have broken its own fundraising record of raising the most ever by a corporate partner of BBC Children in Need in a single year. 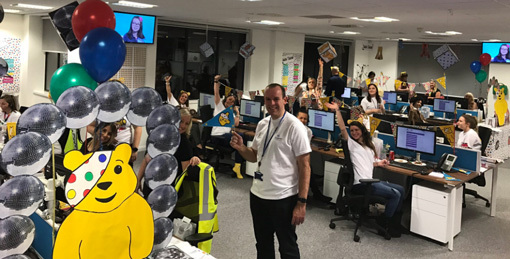 Combined with last year’s total, Group colleagues and customers have now raised over £11.2 million for the charity in just two years, supporting the Group’s ambition to helping Britain prosper through its commitment to supporting communities through fundraising and volunteering. 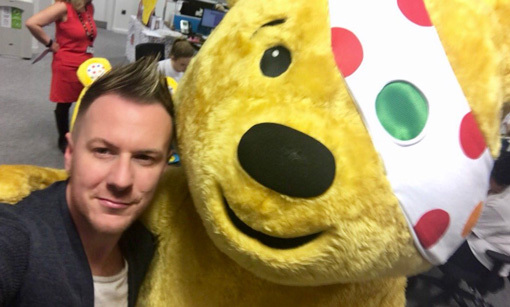 The money is helping BBC Children in Need to fund over 300 projects and support over 39,000 disadvantaged children and young people across the UK. 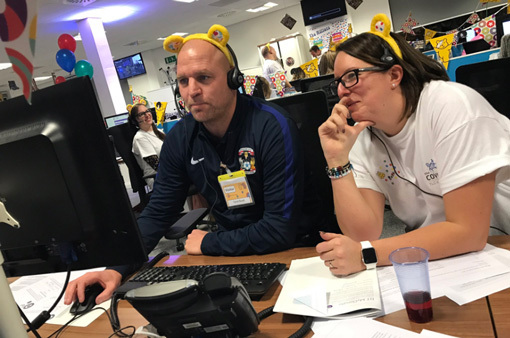 The money raised will help BBC Children in Need to reach more children, make a bigger difference in their lives and enable positive changes to continue for years to come. 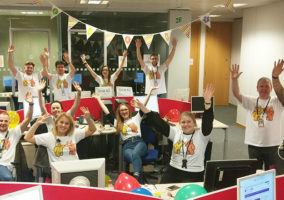 Lloyds Banking Group colleagues and customers have been fundraising all year round for the iconic charity, raising at the time of the Appeal, over £5.5 million. 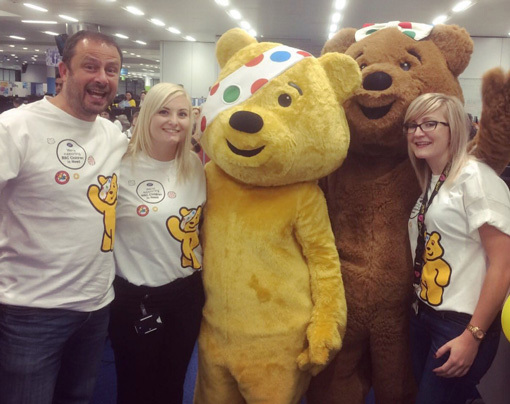 This is almost one million pounds more than the Group had raised by this time last year. 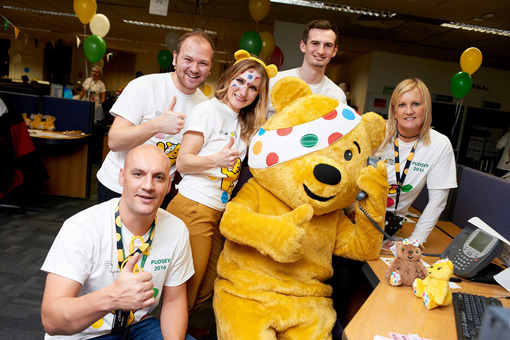 Lloyds Banking Group was BBC Children in Need’s largest corporate partner in 2015, raising more than any other partner. 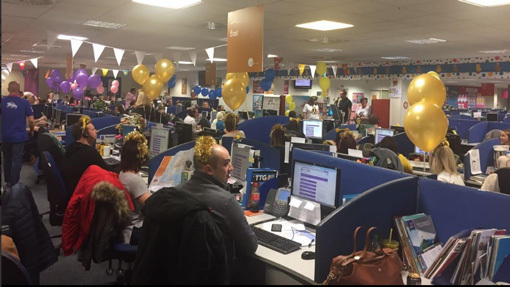 This year’s fundraising activities have included Ready Teddy Bake, where 3,000 colleagues across the country joined forces to bake over 5,000 cakes, cupcakes, pastries and buns to support the charity bake sale. 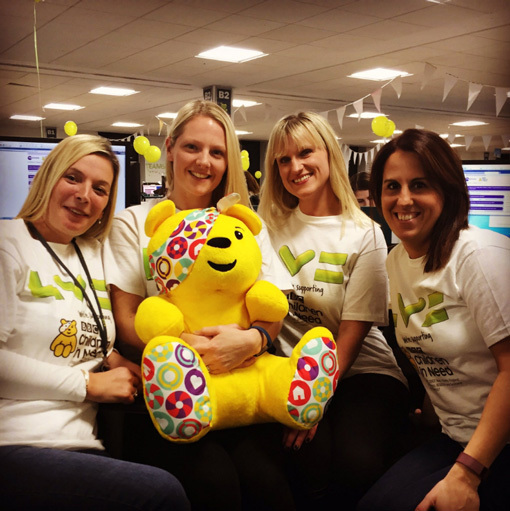 Colleagues raised over £110,000 through the Pudsey-themed cake sales. 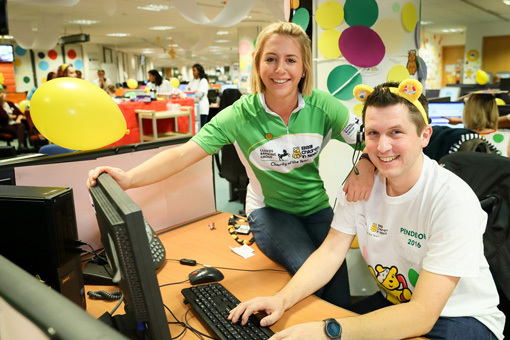 The exhaustive efforts of 60 colleagues who completed the Tour de Pudsey challenge helped to raise over £275,000. 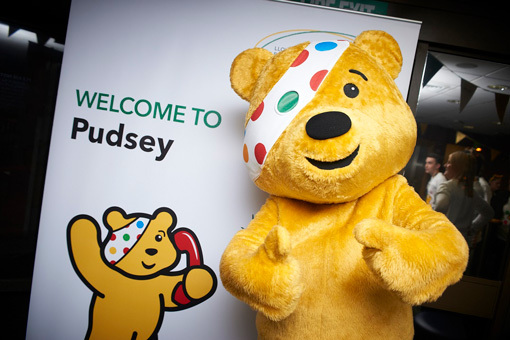 Three groups of twenty riders departed from London, Edinburgh and Cardiff and cycled over 300 miles in all weathers in just three and a half days to arrive all together in the town of Pudsey. 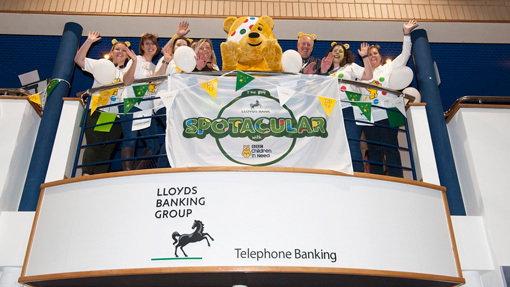 The finish line of Pudsey was chosen for two reasons: it is the town after which the iconic mascot was named, being the hometown of Pudsey’s designer, and it is home to one of Lloyds Banking Group’s Regional Offices and Call Centres for Appeal Night. 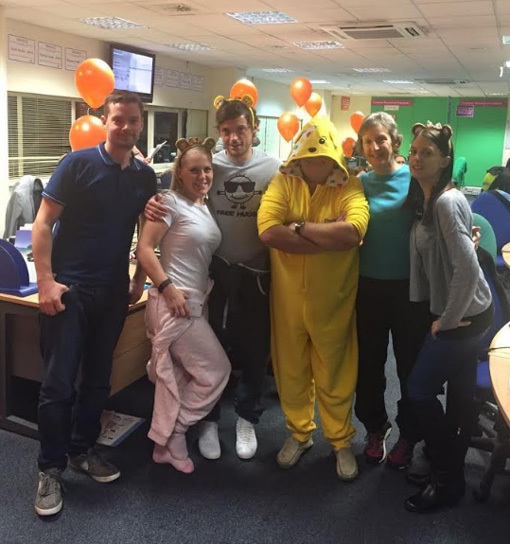 Branches and offices across the UK have also been participating in fun runs, dress-up days and many other fundraising initiatives throughout the year. 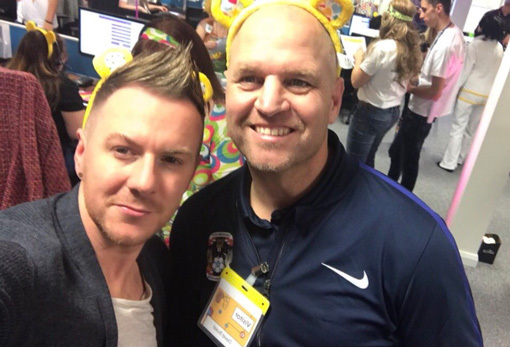 Colleagues have also made significant volunteering contributions to BBC Children in Need, with over 420 supporting local schools to go Spotacular. 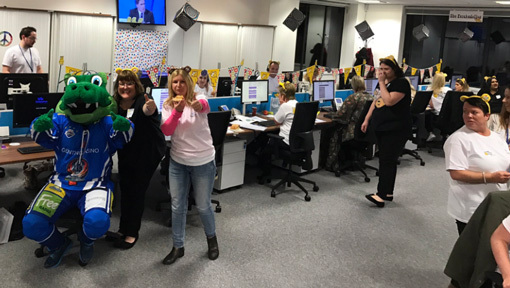 Colleagues also volunteered more than 8,500 volunteer hours to process millions of pounds during the Appeal Night telethon on Friday 18 November. 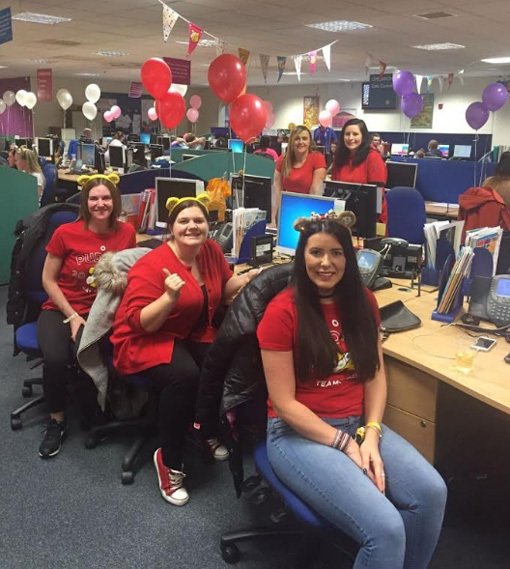 With 730 telephone lines pledged and over 1,700 volunteers working in six call centres, the Group was the largest provider of telephone lines to the charity for the second year running. 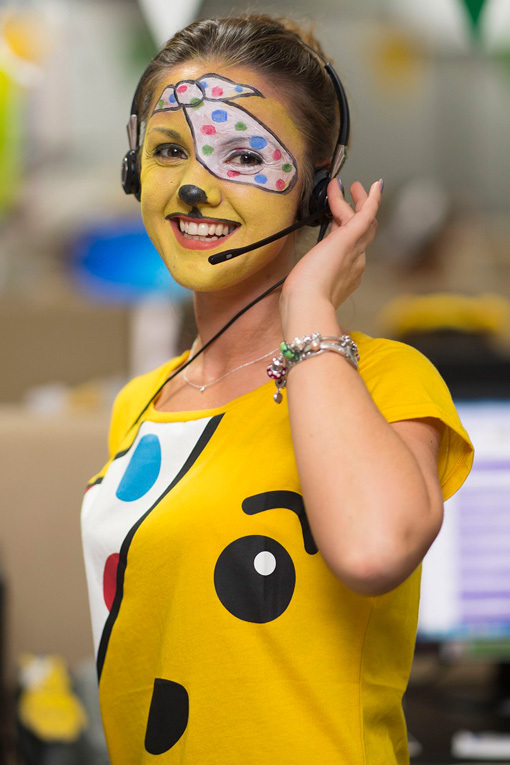 The British public has also got behind the Group’s support of BBC Children in Need this year, buying over 40,000 limited edition Pudsey Moneyboxes available exclusively in Lloyds Bank and, for the first time this year, Bank of Scotland branches. 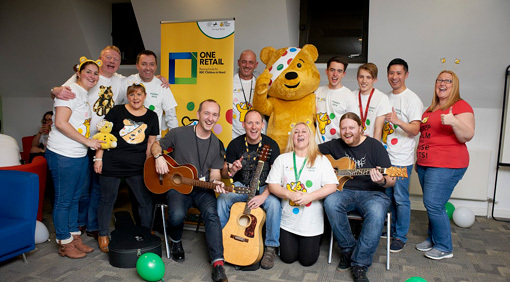 Costing just £5, every penny of the purchase price has gone directly to the charity, raising more than £200,000 so far. 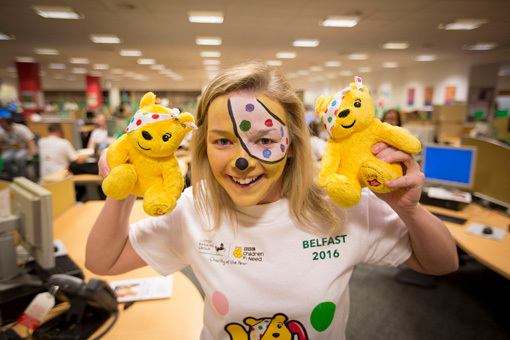 This year, Lloyds Bank and Bank of Scotland are also matching donations made online. 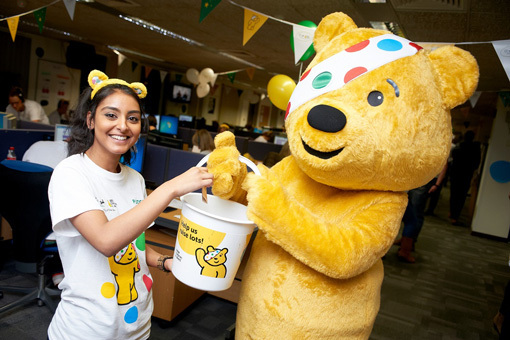 Donations in branches are being matched from 7 – 21 November 2016. 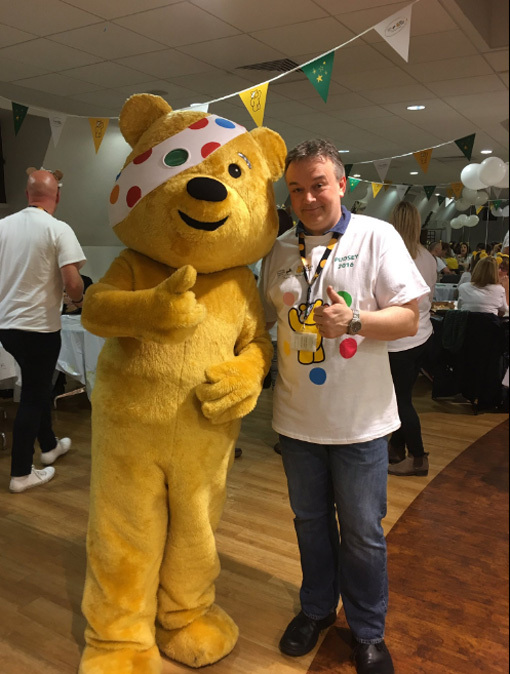 Stuart Beaver, Director, Partnership & Community Programmes, Lloyds Banking Group, said: “The ongoing generosity of colleagues and customers when it comes to supporting BBC Children in Need continues to amaze me. 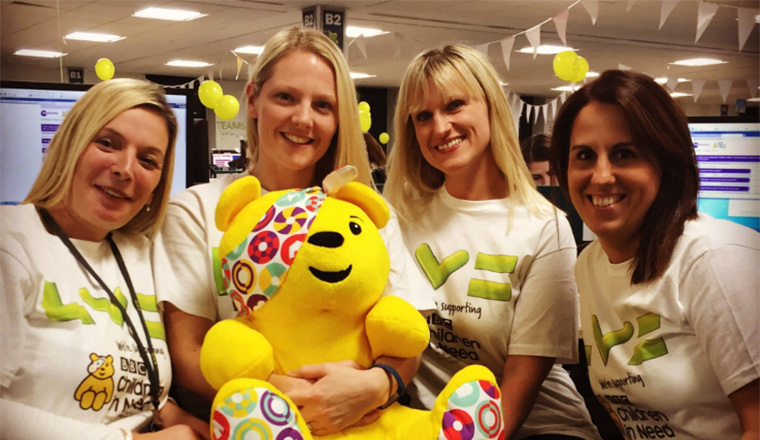 The lengths the British public go to with fundraising and volunteering is inspirational and demonstrates how much loved the charity is. 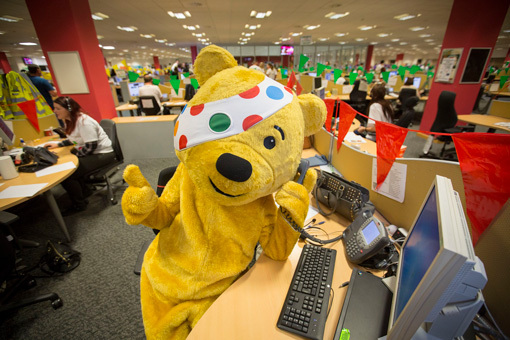 Don’t forget you can still send your photos from Children in Need to our news desk!